Fall is the time of year when a few deep-sky gems make their way into the night sky once again. The Pleiades, Messier 45 and the Triangulum Galaxy, Messier 33, are among the long list. 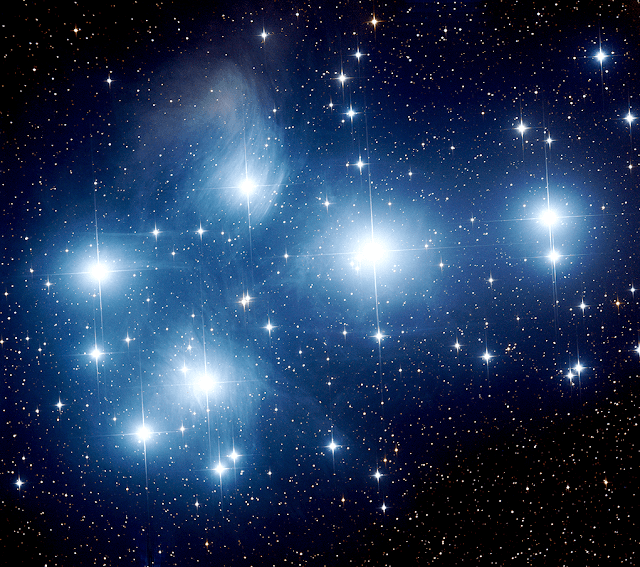 The Pleiades are also well known to the unaided eye as the Seven Sisters. That is how many stars can only be seen in this open star cluster under dark skies. The image below taken on Insight Observatory's Astronomical Telescope for Educational Outreach (ATEO-1) displays many many more stars in the cluster. M45 - The Pleiades imaged at LRGB 600 sec, 2x2 bin on ATEO-1 by Insight Observatory. 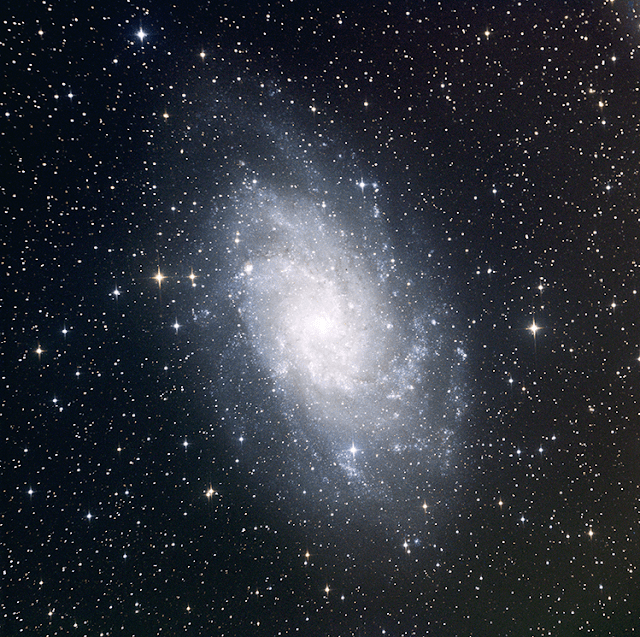 M33 - The Triangulum Galaxy imaged on ATEO-1 at LRGB 600 sec, 2x2 bin by Insight Observatory. The Triangulum Galaxy (also known as M33) that is about 3 million light-years away from Earth. While its mass is not well understood, one estimate puts it between 10 billion and 40 billion times the sun's mass, what is known is it's the third largest member of the Local Group or the galaxies that are near the Milky Way. Triangulum also has a small satellite galaxy of its own, called the Pisces Dwarf Galaxy. Under dark sky conditions, M33 is just barely visible with the naked eye in the constellation Triangulum, just west of Andromeda and Pisces.